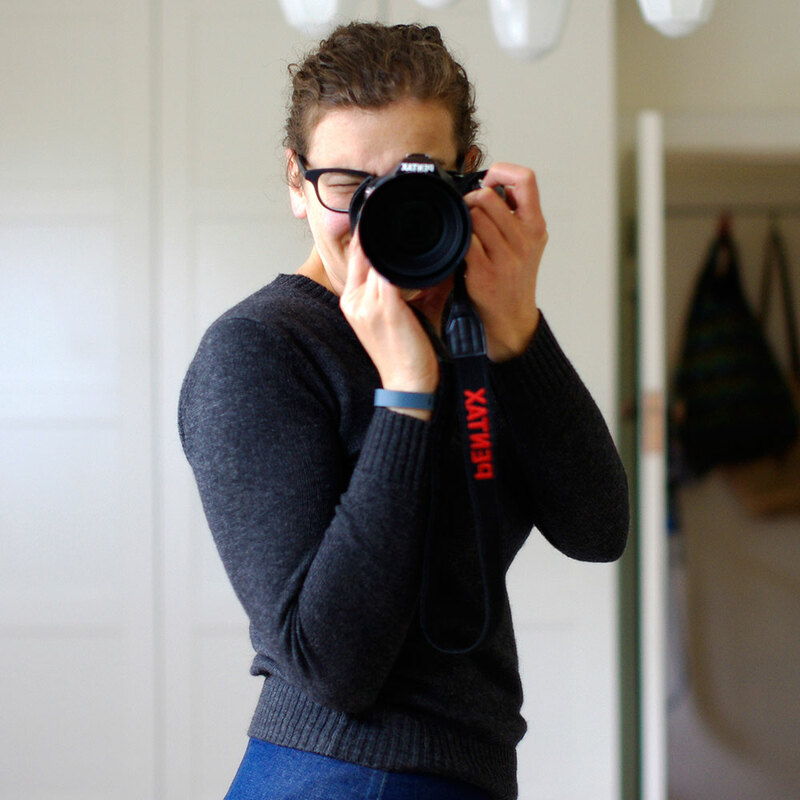 This is the third in a series of monthly interviews with inspiring and creative people---including fabric designers, shop owners, quilters, and other makers. 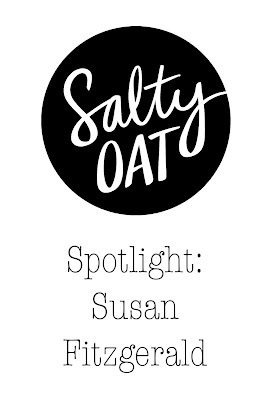 You can find all of the previous Salty Oat Spotlight interviews here. This morning, I'm so excited to introduce you to the very talented designer, Susan Fitzgerald. 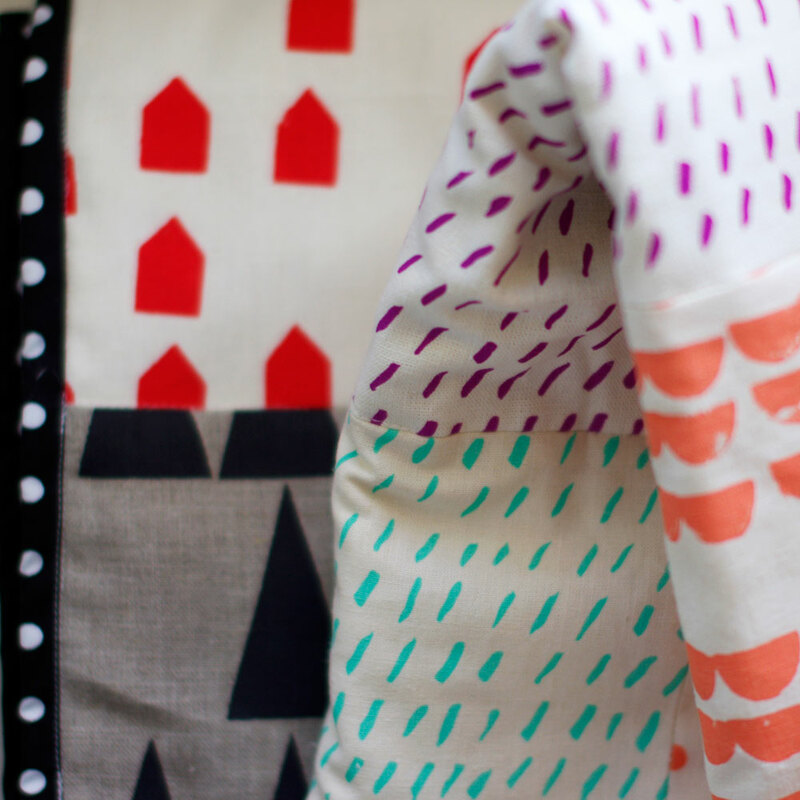 In addition to being the owner of Spin Spin, a design and screenprinting studio which produces textiles, ceramics, and paper goods, Susan is also the latest fabric designer to have her fabrics join the Salty Oat shop! Five Spin Spin designs are now available in an exclusive palette of black, navy, peach, olive green, and metallic gold. These limited-edition fat quarters are printed on an organic, quilting-weight cotton, and are truly special! 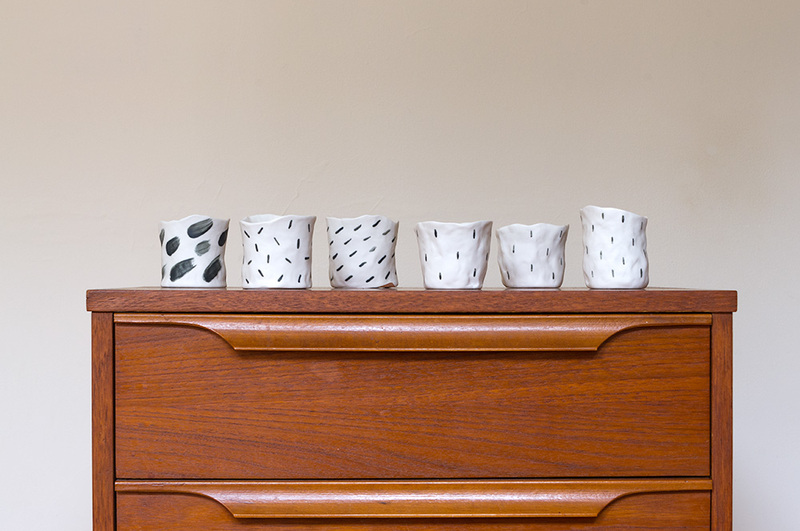 Read on to learn more about Susan's design process, see some beautiful photos of her workspace and materials, and get all of her recommendations of things to see and eat in Melbourne, Australia. And be sure to pop on over to the shop after you've read the interview to snag a fat quarter or two! Caitlin: Tell us a bit about your background and how you got your start. What was the path that led you to where you are today? 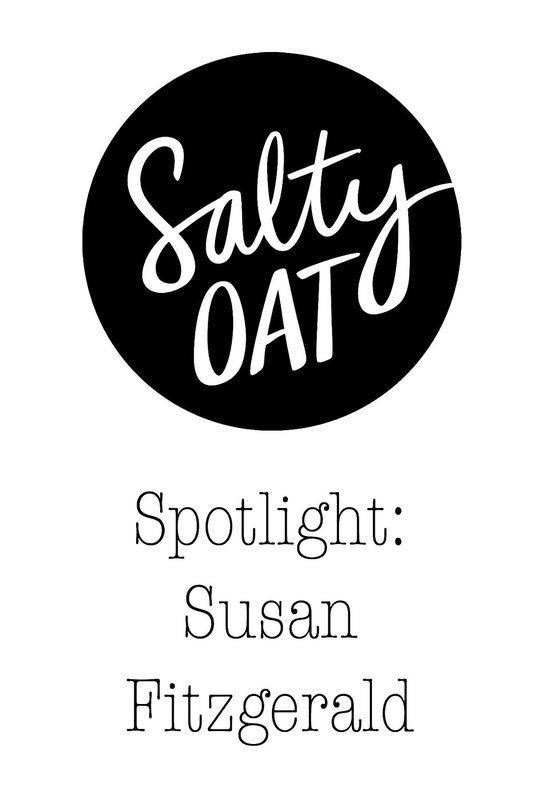 Susan: I started out in web design, doing fun personal projects and working for a long-gone search engine (pre-Google!). After doing that for a year, then a couple of years living overseas, I decided to go back to university and study graphic design. At that time I never thought I'd end up doing design work for a company or even as a freelancer (at least, not full time)---the plan was to use my skills to develop, refine and create my own ideas/designs/products. 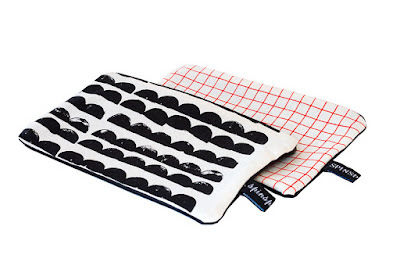 I wasn't quite sure what form my work would take, but being tied to the computer at design school pushed me in another, much more tactile and hands-on direction. 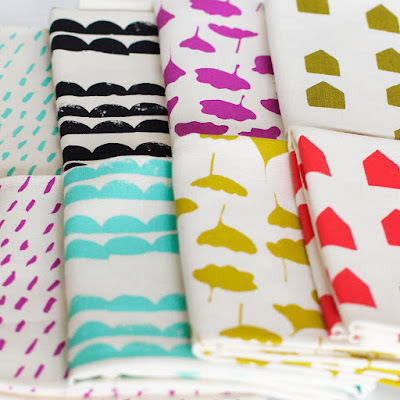 I started by screenprinting covers for books I was making for class, and then fabric to make gifts for friends. And here I am, nearly 10 years later, and I'm totally hooked. I also recently started making hand-formed and painted ceramic pieces, and am hooked on that, too. C: What does a typical workday look like for you? 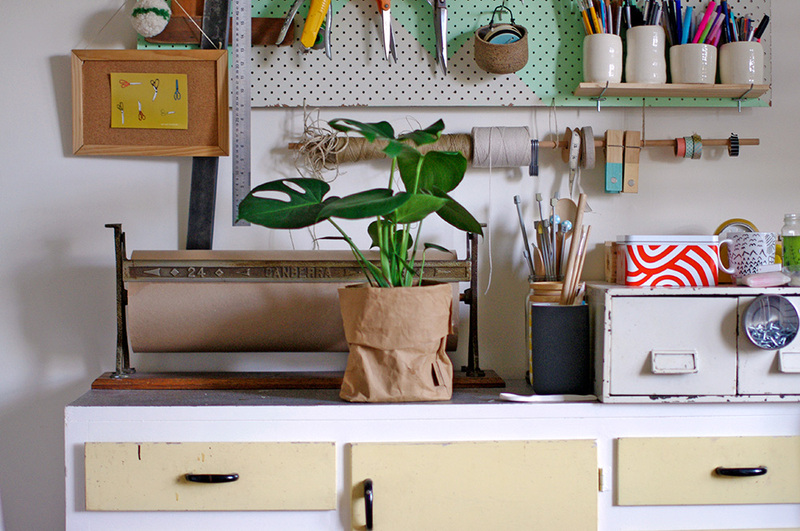 Can you describe your workspace? S: I work on my business part-time and there is definitely no such thing as a typical day! I try and squeeze all the many bits and pieces I need to do into the limited time I have and never feel I get half of what I want to do done. I'll usually walk my dog first thing each morning, to clear my head, and then start working on whatever's top of the to-do list---whether it's planning the colour scheme for my upcoming fabric release, making or refining some ceramic pieces I'm working on, printing some fabric or taking photos for Instagram (addicted!) or Facebook. 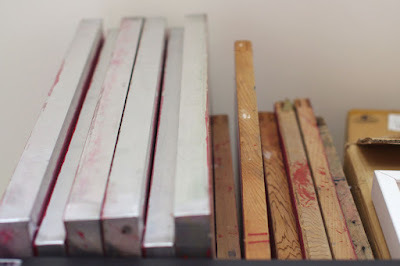 I also spend a bit of time on my website, online shop and working on email mailouts. Computer work does take up a lot of time, but I don't mind that so much these days. Most of my designs start out as a drawing or painting, but being able to scan, manipulate and then get that refined idea onto a screen for printing is pretty amazing. 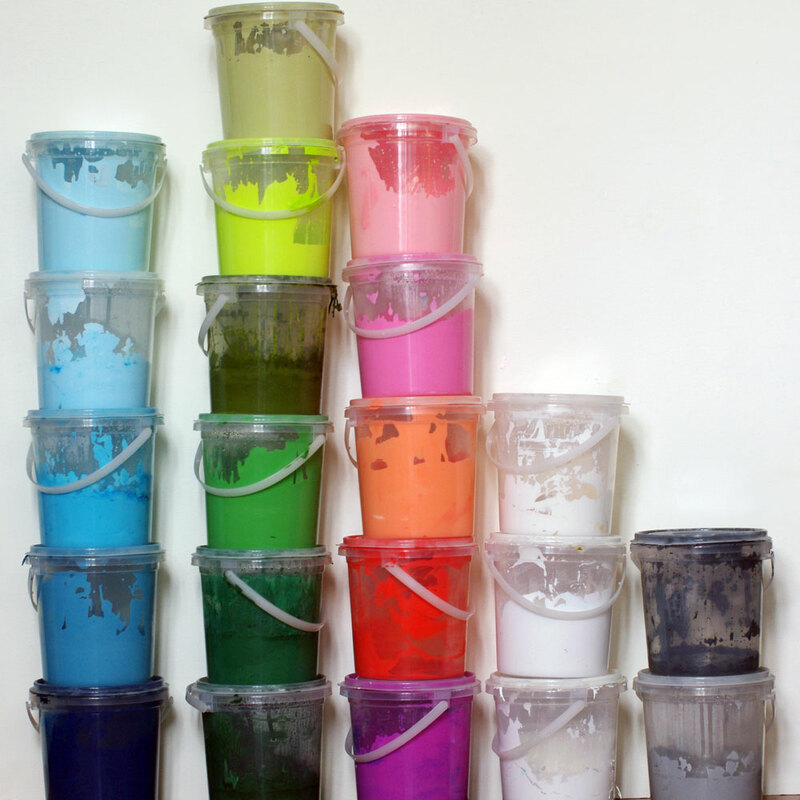 Getting that screen in my hands, ready to print, is always one of the most thrilling moments! My current workspace is a room in my home, which suits me pretty well as it's so convenient. It's got a big, custom made printing table and a sewing table on one side, inks and screens in the corner, my computer, and then my trusty pegboard on the wall, holding all manner of goodies---clipboards, washi tape, scissors, rulers and so much more. 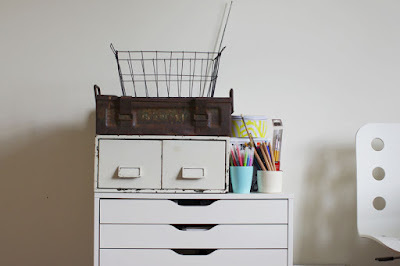 I fluctuate between being super neat and super messy, but generally find that I have a clearer head and get more done when things are neat and organised. C: What are your sources for inspiration? Can you walk us through how an idea goes from your sketchbook to fabric, and how you refine design elements and select colors and base cloths before committing to printing the final design? S: I'm inspired by so many things---the nature I see on my neighbourhood walks with the dog, the decaying industrial world near where I live in Melbourne's inner west (lots of old factories, warehouses, shipping containers, etc.). Travel is the best for inspiration---I find I notice every tiny thing and want to capture little fragments. In terms of aesthetics, I love simple, minimal designs with limited colour palettes and natural materials, so am drawn to Japanese and Scandinavian design. I also love imperfect things---singers who don't always sing perfectly on key (hello, Will Oldham, Bill Callahan, Jason Molina), ceramic pieces that are a little wonky, screenprints that don't quite register 100% correctly. Every few months a colour will stick in my head and when I get time, I'll pull out the Pantone swatch book, try to match what's in my head to the book and then get the ink formula from there. Getting the ink colour right is far from an exact science---you've often got to tweak it a lot to get it right, but it's a fun process generally, especially when you do the first print run and it comes out just how you imagined it. I love natural fabrics---hemp, linen, cotton---and use organic where possible. I tend to use light-coloured basecloths, but would love to find a pale grey linen---the holy grail! Fabric selection is often limited to what's available in organic, and also by cost---I try to keep my fabric affordable. C: What three words would you use to describe your aesthetic? C: What projects have you or your customers made with your fabrics? S: I've made a few quilts and really want to start on another---I need the mojo to get started, as it takes a while to complete a quilt. I also have a footstool which was upholstered with some of my custom-printed heavy weight hemp fabric. I also produce a range of cushions, zip purses, baby dribble bibs, onesies and more. I really want to make a lampshade or two soon---that's the next thing, hopefully. C: Tell us a bit more about Melbourne. Where are you favorite places to shop, eat, or spend time with your friends and family? S: Melbourne is renowned as a place where people wear a lot of black and drink a lot of coffee. It's the home to many of musicians and artists and has a long history of supporting independent creatives. Melbourne is in the southern part of Australia---that means it gets hot in summer, but in winter it gets cold, and people hunker down and make things. 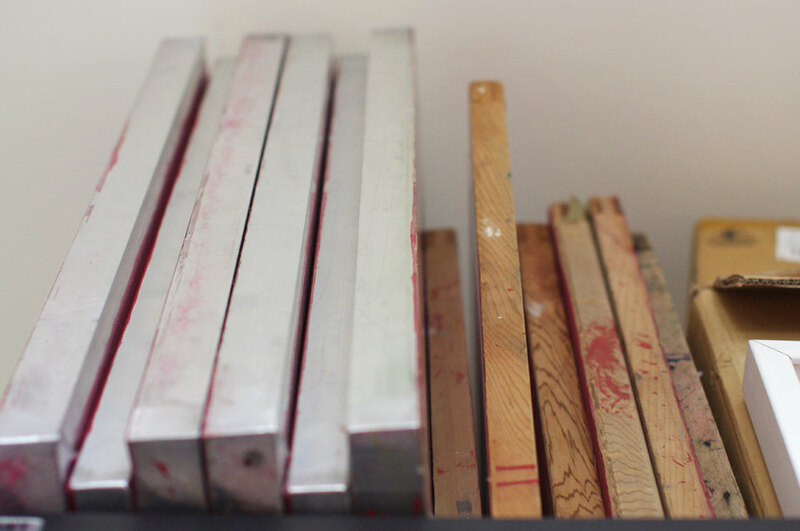 There are lots of big and small galleries, all sorts of creatives tucked away in studios all over the place. Food is something Melbournians are REALLY into and there are so many great cafes around, as well as pubs/restaurants/bakeries/coffee houses/craft brewers, etc. Around where I live I love Guerilla Espresso, Brother Nancy, Post Industrial Design, The Little Man and Rudimentary for breakfast/lunch and for later in the day, Plough Hotel, Ovest, Ajitoya, Station Hotel, 8bit and Littlefoot are all amazing for food and/or drinks. The best places for coffee, in my opinion, are Market Lane and Patricia, and they're worth [the drive] to the city for. For homewares, you can't go past Sedonia and for art goods, West Art Supplies. C: Where can people find you online? S: My website is spinspin.com. You can buy my wares via Etsy. I'm also on Instagram, Facebook, and sometimes Twitter. Thank you so much to Susan for taking the time to answer my questions! 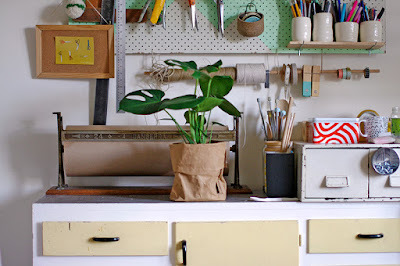 It's always so fun to learn more about the designers whose work I carry in the shop, and to get a peek into their part of the world. Thank you for taking the time to comment---it means so much to me! If you have a specific question, please be sure to include your email address and I'll be happy to respond. 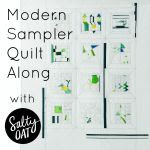 I am the owner of Salty Oat, an online quilt shop. This blog is a chronicle of my small business and quilting adventures. What's Salty Oat? It's my favorite cookie (particularly the chocolate version!) from Quack's 43rd Street Bakery in Austin, Texas. Questions? Comments? Send me an email at hello [at] saltyoat [dot] com. Please do not use any of my images or duplicate any of my designs without written permission. Thank you!